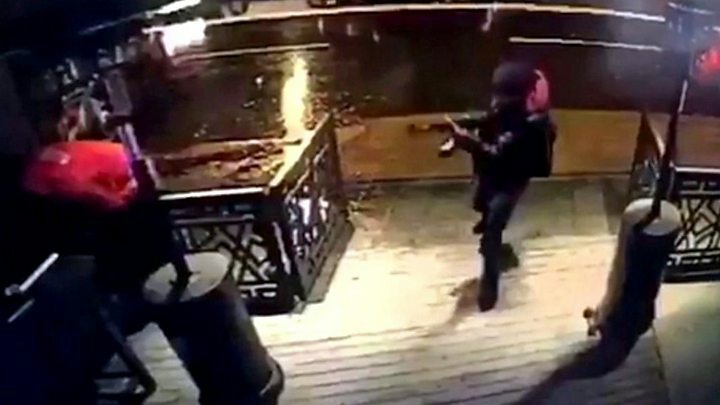 Police in Istanbul are hunting for a gunman who opened fire at a well-known nightclub, killing at least 39 people. The attack happened at Reina nightclub early on Sunday, as hundreds of revellers marked the new year. Officials say some 15 foreigners were killed, including citizens from Israel, France, Tunisia, Lebanon, India, Belgium, Jordan and Saudi Arabia. The attacker left his gun before "taking advantage of the chaos" and fleeing the scene, Turkey's PM said. Binali Yildirim also confirmed the gunman was not dressed as Santa Claus, contradicting earlier reports. The attack unfolded some 75 minutes into the new year as around 700 people gathered in the waterside Reina club, one of Istanbul's most upmarket venues. 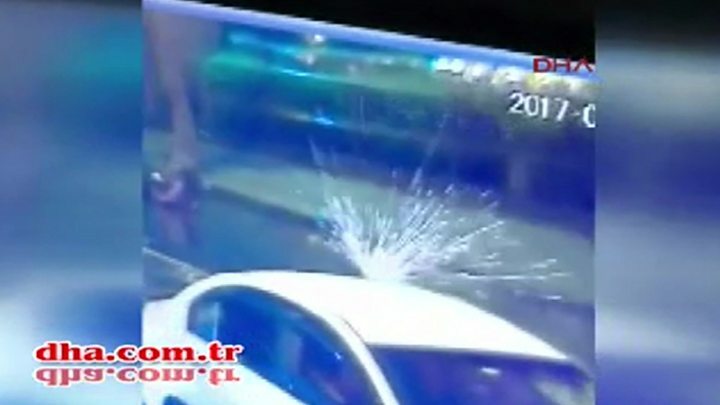 The attacker shot dead a policeman and a security guard at the entrance before heading into the club, which is popular with celebrities and foreigners. Eyewitnesses described seeing dozens of bodies lying on the floor. 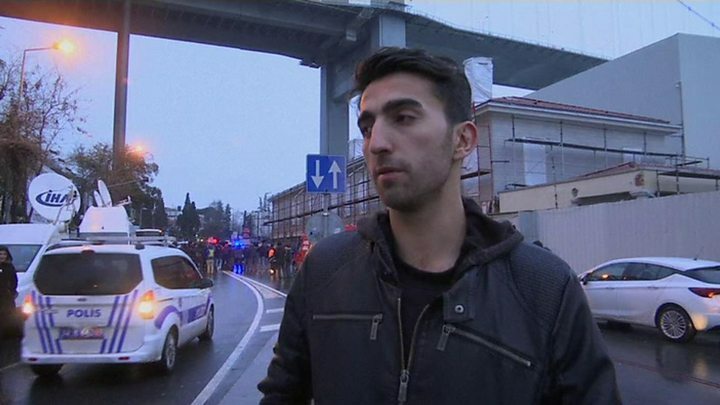 Some revellers reportedly threw themselves into the Bosphorus to escape the carnage. The motive for the attack is not clear, but suspicion has fallen on the Islamic State group. President Recep Tayyip Erdogan blamed terror groups "trying to create chaos". "They are trying to... demoralise our people and destabilise our country," he said. 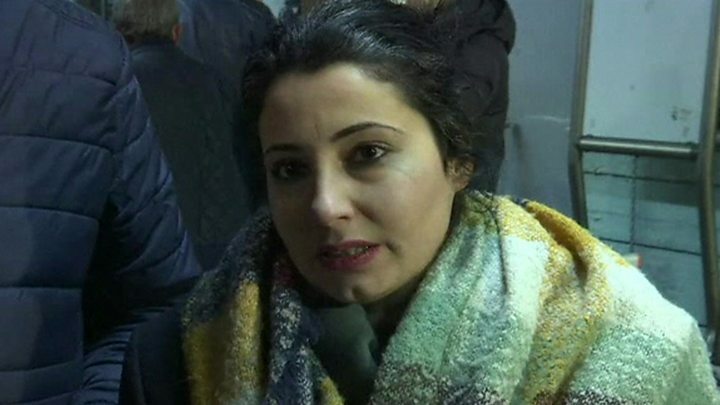 The banned Kurdistan Workers' Party (PKK) said it was not the work of Kurdish groups. They would "never target innocent civilians", the PKK's Murat Karayilan was quoted as saying. In the last two years of attacks in Turkey, Kurdish militants have mostly targeted military forces and police, while IS is known to target civilians. IS leaders have threatened Turkey and called on their followers to carry out attacks inside the country. Turkey began a ground operation against IS as well as Kurdish groups inside Syria four months ago.